eputy Principal Nathan Meinert announced his resignation following a string of administrative resignations starting with the superintendent Chris Williams and Principal Eric Martinez. Meinert wrote a letter Mar. 28 announcing his departure from Paso Robles High School, in which he shared his reason for resigning and thanked Paso Robles for the opportunities extended to him. Meinert’s resignation occurred under slightly different circumstances than those of the superintendent, who left mid year amidst financial controversy. QUAD DUTY: Deputy principal Nathan Meinert watches over the quad during lunch. His term as vice principal will run until the end of the 2018-2019 school year. atthew Carroll, teacher of the seven years, was awarded Teacher of the Year on Mar. 28. Senior night for Track and Field was interrupted by a flood of cheering teachers, students, and parents bestowing a crown upon him and embracing him with hugs. “It was very humbling,” Carroll expressed. “I believed there was so many deserving people, so I was pretty shocked when I heard I had won.” Growing up at the Paso Robles High School himself and graduating in the class of 2005, Carroll had wanted to be a psychologist or college football coach as his future career. However, inspired by his teachers in high school, his passion for writing and reading led him to where he is now. English teacher Matt Carroll’s Teacher of the Year Award in a parade march to the track Mar. 28 with signs and chants. Carroll is varsity track head coach. Bilderback operates the new pin number operated system. Lines were longest on the rollout day, Mar. 1. THE GREATEST TALENT SHOW (above) : Sophomores Aiden Blond and Orion Bohannon lip sync to “The Other Side” from the film The Greatest Showman. Both students are a part of the PRHS drama department. s the spotlight began to glow, PRHS students nervously approached the stage, ready to show off their talents for the third annual talent show on March 1, 2019. Voices quivered, knees knocked, but all performers were welcomed under the bright lights with whoops and cheers of excitement and support from the audience. The show, hosted by the school’s Drama Club in the PAC, provided an opportunity for students of all grade levels to showcase their talents, from first place winners Regan Rowins, Trinity Bishop, and Liz Phillips who sang an original song entitled “Things are Better for Me” to even Miles McMahan and Steven Scruggs dancing on roller blades to the song “Happy Together.” “You get to show a different talent, and you get to see a different talent as well,” senior Kasiya Heinle, who performed a self-choreographed dance, said. tion. He recieved a silver medal and will procede to the state competition. CTE-oriented school. Photo by Camden Tucker Programs are growing, and those who stay with it are thriving. In the past three years, the amount of students contending in healthcare-related competitions increased 91 percent. In 2016, three students participated in one contest. This year, 37 students applied in 8 respective 113 of the 144 students who competitions; almost half of those students qualified for competed will be advancing to state against technical schools. Of those qualified were the state-wide competition in multiple three-year veterans of the healthcare program. April. “It’s really exciting to see it grow and to see our students prove how much they’ve learned, “ said 39 students received gold Shelby LaMendola, who became teacher for Intro and Advanced Healthcare classes three years ago, during the medals across 33 different program’s transitional time. “It’s impressive because we competitons; all will be are competing against technical schools that have their competing in Ontario, CA. students constantly in a facility. To know that we are a public school and I only get them one day for an hour – to know that we are competing with that group of people – is In the last three years, impressive.” competitions focusing on Nationals look bright for CTE state medalists. According healthcare have seen a 91 to Canaday, roughly 80-90 of the students who qualify percent increase. for state will compete; it’s projected that 10% of those students will progress to nationals. flowers, notes, and mementos to mourn the loss. Many of the items were left the morning after her passing on Mar. 6.
ecent months have made the Crimson staff increasingly aware of a spike in political criticism for the stories and topics we choose to feature. We hear people call us the “liberal paper,” the “Mexican paper” and the “gay paper.” Last month, we posted a link to an article on Facebook about an asylum seeker and one user commented, “Can’t this school write about any thing else than constantly the issues of illegals? Stop pushing your narrative and write about something else.” In another situation, we received a direct message from an Instagram user asking us, “Why do you put stuff in your paper like the ‘gay agenda’? Why do you only talk about the gay side, I have never seen you put anything about the ‘Straight agenda.’’” The positive side of the commentary we have received is that it has led to critical class discussions regarding the extent of freedom of speech and how we can limit the systematic marginalization of either political views. We take what we hear as constructive criticism and admit that we must balance perspectives within the articles we write. But these sly comments appear to be misguided in terms of who we decide to represent and how we structure our coverage. Historically, our Opinion section has leaned a little more to the left, but those views are not tangent to featuring Hispanic students and LGBTQ+ students. We pursue these stories as an acknowledgement of social justice, and in doing so, we exercise our right to talk about the underdogs. We also are addressing our audience. In the 2017-2018 school year, 53 percent of our school consisted of minorities. Our publication aims to give the students at our school the platform to speak up and share their stories. It would be ignorant of us to ignore those issues that affect so many of the student body. Critics complain on sections of our publication and clearly skip over our efforts to cover sports, health, entertainment and other balanced topics. No, we are not only the “Mexican” or “gay” paper. reasons. We hope, simultaneously, our critics are not trying to censor all opinions they do not agree with, languages they do not speak, or groups and races they are not members of. Journalism has been particularly subject to the criticism of biased news or “fake news.” The times sound a lot like 1898, when newspaper publishers Joseph Pulitzer and William Randolph Hearst were accused of “yellow journalism” for their coverage of the Spanish-American War. Critics wanted to know: did their papers exaggerate topics for economical or personalized gain? Interestingly, a 2013 survey titled “The American Journalist in the Digital Age,” conducted by professors of journalism at Indiana University, found that the percentage of journalists who report to be Democrats or Republicans has been decreasing in both sectors since the survey was first conducted in 1972. Nationwide, 64.8 percent of journalists identify as independents or another party. Despite this statistic, the focus is on the gap within the 35 percent of two-party-identified journalists, in which 28.1 percent identify as Democrats and 7.1 percent identify as Republicans. An internal staff survey found similar results. Of 27 staff members surveyed, 48.1 percent reported to politically identify as independent or other while 14.8 percent identified as Republicans and 37 percent identified as Democrats. But Crimson, as an entirely voluntary, student-run publication, has stuck to the mission to provide the facts while also providing a view in an Opinion format section. We choose to present the truth to the best of our knowledge and in the hopes that we can have a more cohesive conversation with what is going on in the world. What we have learned has given us the incentive to challenge others to honor and respect the views of others while also learning to find the appropriate times to share those views. 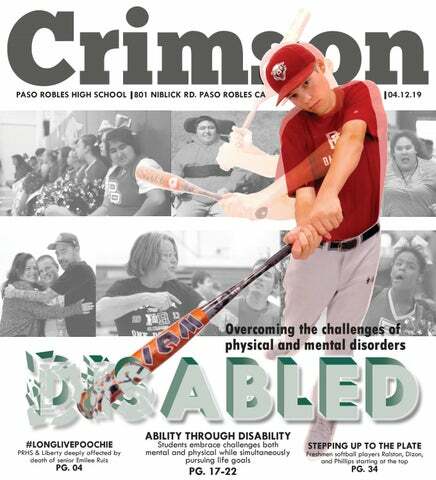 Crimson, an open forum for the exchange of student ideas, is an independently funded newsmagazine produced by the journalism class at Paso Robles High School. 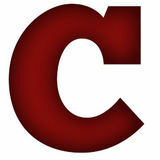 Crimson reflects the majority opinion of the staff and does not necessarily reflect the views of Paso Robles High School, its faculty, administration, or students. All stories, graphics, typesetting, and layouts are completed by Paso Robles High School students. We are happy to talk with you further about our content, subscriptions in U.S. Mail, and advertising ­—Crimson Staff on our pages. don’t like the smell of flowers. It’s hard to imagine that something so beautiful and pristine has any kind of flaws. But whenever I see people pick a flower from a garden or be handed a bouquet and the first thing they think to do is inhale its perfume, I find myself trying not to gag. This may have been a premonition as to why I have a hard time when people tell me to “stop and smell the roses.” It’s what made me want to speed through life, never stopping, keeping myself busy for every minute. After all, if I didn’t want to smell the roses, why should I stop in the first place? Having hours of work with my own new responsibilities and commitments, both to myself and others, has become something that I can not only count on having each day, but something I’ve grown to rely on. I find myself saying, “I have to do more. I’m not doing enough.” All the while, I exhaust myself, take on things that I know I can’t do, and miss out on the things and people in my life that actually matter. Maybe I’m searching for a distraction from the things that don’t make me feel so happy in my life. Maybe I’ve realized that the times I do stop are the only times I let all of the built-up stress catch up with me. Maybe I honestly just hate roses. Whatever the reason, it grows continuously harder to get myself to slow down. But it’s in those times, in those few deep inhales, that life seems to come into perspective. It’s not about what the roses smell like. It’s about how lucky you are to have something so beautiful in your life. “Slow down and enjoy life,” comedian Eddie Cantor said. “It’s not only the scenery you miss by going too fast – you also miss the sense of where you are going and why.” You don’t and stop smell the roses because you like the smell; you stop to smell them because it’s the only thing that will remind you to take a deep breath. It’s finding the roses, finding your roses, that really counts. by Jaclyn DiMatteo, People Editor s students open letters uncovering their future, the media But how is anyone supposed to believe that she truly is sorry and is also uncovering something: students and parents now cares about school? For the people that do care about going scamming college admissions to gain acceptance into to college, why should their spots be taken by people that haven’t elite schools. Students across PRHS are wondering whether their worked for it? spot in a university is being taken, while Lori Loughlin, former “As someone who has worked really hard to maintain above a 4.0 star of Full House and When The Heart Calls, has scammed the and all in high school, I was still rejected from some of the top UCs admissions to USC so that her daughter and YouTube star, Olivia and I can’t imagine having my spot taken by someone who hadn’t Jade Giannulli, would be accepted. This resulted in Loughlin’s worked as hard as me just because they had the money,” Finely arrest and loss of her current job on When The Heart Calls and Burns, a senior headed to UC Davis, said. Fuller House. She has since been released on a $1 million bond Receiving all A’s in high school, and especially in Honors and AP and will be going to court on April 3. classes, is hard work that should not be overlooked because other Loughlin isn’t the only one responsible for this. There are employees people have more money than the people that actually put in the in admissions offices who accept bribes up to $500,000; many of work. All the time, this seems to be a new reality, as huge donations these people have also been fired and arrested amid this scandal, by parents to a school can make the difference between an and rightly so. acceptance or a rejection letter. The distinction between what Although this mistake has now been rectified, similar bribes are Loughlin did and a donation are that, at the very least, the money is still taking place in many colleges around the US. There is no going to the school instead of straight to the pockets of the people reason for someone who said “I don’t really care about school” to at the college admissions office. be accepted to a prestigious university with a 17.7% acceptance Money, race, gender, and sexuality all should not be things that rate, such as USC. play into what college someone gets accepted to, but all too often Giannulli later issued a statement that she should not have said are. The people working at the admissions office should change she doesn’t care about school and apologized for her arrogance. their values and morals, as well as the application itself. ATTENTION SWIMMERS: Join the North County Aquatics Swim Team! It’s a competitive and fun way to spend part of your summer. You’ll enhance your swim strokes (or learn a new one), compete against other swim clubs and make new friends! We compete against all the local teams on the Central Coast. Swim team fee ranges from $50-$90 per swimmer each month. itting in my fifth period art class one rainy Friday, the usual things crossed my mind: what am I going to eat when I get home, dreading working the next day, and the latest NYFW shows. That day, however, I was pulled away from my daydreaming by the horrendous prejudice a peer felt the need to share. He thought that the perfect time to say that “trans people have the devil in them” was during a water color session. My initial response was to avoid confrontation and remain quiet. I hoped that avoiding the conversation would get him to just shut up already and cork the ignorance, hate, and prejudice he was spouting. To my dismay, however, he just kept going, and it wasn’t until he decided to say something about gay people that I was angry enough to speak up in attempt to correct him. I expressed that his information was biased and just flat out wrong. Did I change his mind? Probably not, but he did eventually stop talking. What a blessing that was. Throughout the day, this event kept popping up in my mind, not with anger or malice towards the student, but guilt. I did not regret that I snapped at him; he was kind of a jerk. I got to thinking about how long it took me to say something. Why did I wait until his statements pertained to me to speak up? Why didn’t I try to speak up for the trans community who didn’t have anyone there to defend themselves? Whether we chose to believe it or not, this trans erasure and a fear of sticking up for others is a national problem, and one that has crept its way into PRHS. Your opinion about another person’s identity shouldn’t ever determine whether someone has the right to exist or not. As a country and as a community we have to come to terms with the fact that these are people that we’re talking about. They aren’t just some science experiment or monster that we can call whatever we want. Labeling the trans community as “devils” is hurting people, and according to the American Foundation for Suicide Prevention,e “41 percent of trans men and women are estimated to have attempted suicide.” It’s a sad day when people begin to value their political values more than the lives of fellow people. Historically, the LGBT owes a lot of our freedoms to the trans community. Arguably the biggest push for our rights sprung from the Stonewall riots, and Marsha P. Johnson — a trans POC — was the first to throw a brick at the building, which many see as the start of the Gay Rights Movement. So now, 50 years after the riots, when kids like those in my art class insist on mis-gendering trans people, or calling it a mental disorder, anyone of any background should try to correct them, but those within the LGBT community are especially indebted to do so. into work on an ambulance that goes all around SLO county. She gets to work with trained professionals: EMTs. carried the bag and that was great. Now I can flush an IV and do the blood pressure. I help out a lot, and once they show me what to do, I can perform on a patient,” Murphy said. Despite having been on ambulances since November, Murphy has yet to see blood on her shifts, but does admit to having seen a dead body, a 40 year old man who died from choking on his own blood due to alcoholism. “The hardest thing for me was when I saw my first dead body. That was hard because...the body itself didn’t really scare me, but it’s the family that makes me scared,” Murphy said . The Explorer program requires a minimum of eight hours a month that a volunteer is actively on a shift. Murphy has no trouble with the requirement, and ofGOING FOR A DRIVE (above) : Murphy works multiple hours a week in an ten goes over. ambulance and can now hook up IVs along with other valuable skills. “If I’m doing more local shifts — like Paso or Templeton — I tend to volunteer during the weekday for only three or four hours. But if I’m down in Arroyo Grande, I’ll volunteer for six hours on a Sunday.” Murphy has been active in the program since August of 2018 and has many stories to accompany her time spent in the ambulances. “My first major call was out on the dunes in AG. We get into the ambulance, which is smaller than a regular ambulance and higher up, and when we get there I’m thinking ‘okay it’s going to be a broken bone or something,’ but no it’s a man who has a GI bleed, which is an gastrointestinal bleed. To say the least, it was probably the worst thing I’ve ever smelt,” Murphy explained . One of Murphy’s favorite stations is in Arroyo Grande with her advisor Laura Gardner. Gardner, who has been an Explorer advisor for over seven years, praises the volunteers who are able to keep up with the physical and mental challenges that come with being a paramedic. “We meet people at varying stages of life, stress, injury and illness and the ability to adapt quickly to the environment, people and needs of a scene is critical and Zoe does that incredibly well,” Gardner said . Murphy hopes to continue to participate in the Explorer program until she is 18, where she will then become an EMT and put all of her knowledge to use. TAKING CARE OF BUSINESS (above) : Murphy smiles alongside her superiors. She one day hopes to be one of the EMTs she works alongside. AUDITIONS: Students auditioned with a monologue, a dance, and a song. JAN. 12 FINAL LIST: The cast list was posted. IN SIGHT : Sarah Griffith (top), Aurora Lomanto (middle), and Lane Heer (bottom) peek from backstage. DRESS REHEARSALS: CLOSING NIGHT: REHEARSALS: Tech week #2 is The final show is Apr. 14 for Rehearsals began on dress rehearsals where Curtains. Jan. 14. the show is run with makeup and TECH WEEK: OPENING costumes. Tech week #1 consists NIGHT: of running the full show The musical’s first show with lights and sound. is Apr. 5.
assignments. The students are then given the materials they need for the period and get to work. “This class is actually one of my favorites. Chef Adam lets us really experiment and helps us get down the basics,” junior Araceli Arroyo said. The first semester for first year students contains learning the basics of cooking in the kitchen, including how to use the right amount of oil and how to bake without burning. The second semester consists of pastry making and desert baking. The second year learns the skills of how to prepare meals and more of the presentation aspect as well. “Culinary is definitely my favorite class that I’ve taken in my high school career. I’ve learned how easy it can be to create beautiful dishes and how to make a lot of common foods from scratch,” said Shelby Steiner, a junior and first year culinary student. She is also signed up to take the second year of culinary next year. Another component to the class is baking and selling pies at the Culinary Arts Academy. The cafe is open on weekdays for the students to prepare the food and serve the customers. They gain real life experience from this in order to better prepare for their futures, and they learn how to prepare the food for a great looking presentation. FOCUSED ON THE DETAILS: Kathryn Pham focuses on the presentation of a salad to present to Chef White. TAKING A SLICE: Carefully guided by a knife and a steady hand, the final product is cut into slices. Shelby Steiner prepares a pie to be graded and served. edazos de papel vuelan alrededor de salon 104. Un estudiante lanza uno de los proyectiles a su amigo mientras él se agacha detrás un escritorio volcado. Los pedazos de papel parecen más a bolas de nieve que armas. La clase de Historia Mundial de Inmersión Bilingue, instruido por Geoffrey Land, esta a guerra. Alumnos en clase cubren a sus camaradas que han caído en agonía falsa y risas. Una barrera de escritorios a ambos lados han sido construidos y nadie se atreve a cruzar. A un lado está Alemania y al otro esta Francia, las dos fronteras de la Gran Guerra. De vez en cuando los estudiantes se atreven a cruzar las barreras para poder obtener más munición solamente para ser atacados de nuevo. La clase del cuarto y sexto periodo de Land son pobladas de estudiantes que hablan inglés y también español. La clase es Inmersióm Bilingue, significando que todo el Alejandra Ruiz material es enseñado en español. La clase originó en 2006. Cuarenta y siete estudiantes abarcan los dos periodos del esto año escolar y aproximadamente 20 de esos estudiantes está aprendiendo inglés. Para alguien sin experiencia, la estructura de la clase se puede sentir un poco abrumador. Las lecciones de clase diferencian dependiendo en la unidad y tambien el dia. Señor Land le gusta cambiar las formas en cómo enseña su clase. “Disfruto cuando la literatura, la cultura y la historia se combinan para crear una lección que resuena con los estudiantes,” dijo Land. “Aprecio las formas únicas y creativas en que el Sr. Land enseña las lecciones. Por ejemplo, tuvimos una “guerra” falsa que fue muy interesante y nos ayudó a entender mejor cómo era [La Gran Guerra],” dijo Elsa Williams, un estudiante de segundo año en su sexto periodo. Cada período de su clase tiene su propio presidente(a) y vice presidente(a) que son votados por su clase. Dafne Flores y Peter Reyes fueron elegidos por el cuarto período y Mariano Ventura con su compañera Ashley Robles guían al resto de sus compañeros en sexto. Mariano y Ashley incorporan fiestas una vez a ELECTED POWER: Vice president Ashley Robles mes para su clase, son siempre collaborates with classmate Linda Bernal. DIWH elects officers to simulate the givernmental concepts of the course. president and vice president, as voted for by the class. Dafne Flores and Peter Reyes were elected in fourth period, and Mariano Ventura and running mate Ashley Robles rule benevolently over sixth. Mariano and Ashley plan monthly parties for their class, always looking for a way to take a break from the grind and to help unify the class. “I think there are times where the class is separated into two halves, and having our class party brings us together. It provides a safe space to collaborate Elsa Williams and act as a whole. With our parties, we don’t leave anyone out and everyone has a chance to play a part,” Robles said. Whenever a student’s birthday rolls around, a card is passed around the classroom covertly, gathering quick notes, signatures, and hopes for a happy year as it travels from desk to desk. At the bell, Land pulls out his trumpet to perform for the lucky student. A silence falls over the classroom as the first few notes sound from the brass instrument. When Land ceases his serenade, the audience bursts into cheers, whistles, and applause. “It makes all of us look forward to his class on our birthdays because we know it will end in a really memorable way,” said Alejandra Ruiz, another sophomore in his class. Land has been influencing and inspiring his Dual Immersion students all year, and doesn’t plan to stop any time soon. buscando una manera en que la clase pueda descansar del trabajo de cada día. Todo esto ayuda a la clase p o d e r unificarse y convivir CUMPLEAÑOS: Land taps years mejor. of trumpet playing to build morale “ Y o in DIWH around class birthdays. pienso que hay tiempos cuando la clase se siente separada en dos diferentes secciones pero cuando tenemos las fiestas nos une a todos como clase. Nos da un lugar seguro para poder trabajar juntos como un equipo. Con nuestras fiestas todos los estudiantes son incluídos y juegan una parte importante,” dijo Ashley. Cuando llega la fecha de el cumpleaños de un estudiante, todos los alumnos escriben un mensaje, y firma con deseos en una tarjeta dirigida al alumno. El momento en que empieza a sonar la campana, Land saca su trompeta y toca una canción para el estudiante especial. La clase entera está silenciosa en lo que Land toca el instrumento de bronce. Al terminar la serenata la audiencia emocionada rompe el silencio con aplausos y felicitaciones. “Hace que todos esperamos con emoción su clase en nuestros cumpleaños porque sabemos que terminará de una manera realmente memorable,” dijo Alejandra Ruiz, otra estudiante de segundo año en su clase. Land verdaderamente ha inspirado, influido y animado a su clase de Inmersión Bilingue todo el año y no planea detenerse en ningún momento pronto. by Jeremy Hunt, Copy Editor n early January 2018, national and global news headlines erupted with concern surrounding “the failing @nytimes writes false story after the growing conflict between President Trump and North Korea’s Kim Jong-Un. This concern, false story” about him; and in March 2018, he though, wasn’t elevated by a press conference or a missile test or an stated that Baldwin’s “dying American congressional testimony — it was elevated by a tweet. mediocre career was saved OVERALL, “Will someone from [Kim’s] depleted and food starved regime please inform by his terrible impersonation TRUMP’S TWITTER of [the president]”. him that I too have a Nuclear Button, but it is a much bigger & more powerful one than his, and my Button works!” President Trump tweeted from his personal Trump has averaged a PRESENCE HAS account @realDonaldTrump on January 2, 2018 (notably, Trump tweets from his staggering 8.1 tweets per BEEN UNLIKE personal account, not the official @POTUS account that was used by President day since his election on THAT OF ANY Obama). The tweet was in response to a North Korean government statement November 8, 2016. On August PRESIDENT in which the country claimed that their latest missile could reach the United 29, 2018, Trump posted an States mainland. incredible 22 tweets in less BEFORE HIM. Following this, numerous political figures worldwide criticized Trump for the than 23 hours -- many of JEREMY HUNT, 11 tweet. Detractors included Eliot Cohen, a high-ranking White House official in which focused on “Fake CNN” the George W. Bush administration. The remark was “spoken like a petulant ten and his disdain for their use year old,” Cohen said on Twitter. “But one with nuclear weapons — for real — at of anonymous reporting. By his disposal. How responsible people around him, or supporting him, can dismiss this or laugh contrast, President Obama averaged less it off is beyond me.” than one tweet every two days from @POTUS Trump’s conduct on Twitter has involved more than just disputes with foreign communist over the last six months of his presidency. leaders. Consistently, Trump has made jabs at American media members, celebrities, and even Overall, Trump’s Twitter presence has been news organizations. These disses are usually directed at his critics -- including CNN journalist unlike that of any president before him. Only Jim Acosta, the New York Times (the whole organization), and SNL cast member Alec Baldwin. the future will tell if other leaders adopt his In January 2018, Trump referred to Acosta as “Crazy Jim Acosta”; in June 2017, he claimed that high-energy style or return to a more traditional, diplomatic status quo. Collaborative Instructor Mark Dimaggio when asked whether the GND was a realistic solution to climate change. Senate Majority Leader Mitch McConnell said that he was open to voting on the proposal. “I’ve noted with great interest the Green New Deal, and we’re going to be voting on that in the Senate.” The final vote occurred and the proposal was defeated 57-0 with most Senate Dems voting present instead of yea in protest. GREEN NEW DEAL: AOC’s GND aims to cut net emissions, eventually eliminating them by 2050. The cost of the deal is not yet certain, but is currently estimated to be in the trillions. considered illegitimate. A poll found that, at that point, more than 75 percent of Venezuelans disapproved of Maduro’s presidency, according to The Telegraph. Events came to a head in January 2019, when democratic opposition leader Juan Guaidó declared himself interim president of Venezuela, asserting that Maduro was not rightfully elected. Guaidó was soon recognized by the United States, Canada, and multiple other Western nations as Venezuela’s leader. Maduro‘s government then retaliated by stating that Guaidó is legally barred for running for public office for 15 years. When did you go to Venezuela? I went to Venezuela twice in the 1980s. I was a Peace Corps volunteer after college in the Caribbean on a little island called Grenada, a bit off the coast of Venezuela, and so I had two summers off and each time I traveled to Venezuela. How familiar are you with the current turmoil in Venezuela? I follow it in the news. I’ve been following it ever since Chavez was elected, even before that in the 90s, when he was attempting to make coups. I got my master’s degree in Latin American studies, so I’ve been following Latin American issues for a long time – since the 80s. Did you see anything on your trip that reflected the problems occurring in the country? No, actually. When I went in the 80s. Venezuela was quite prosperous. It felt a lot to me like Spain. I’d lived a year in Spain and it felt like a modern democracy and people with a thriving middle class. It seemed like a really amazing country. The students I ran into were really well-educated; they knew more about US history than I did. They took a lot of pride in their history [with] Simón Bolivar and the independence movements. So, it’s a very long-standing democracy with a proud history. I’d traveled in Mexico at the time and it seemed more modern than Mexico. It felt like a prospering middle-class democracy. conservatives and block the media’ – I hope that those all change. It’s going to take a generation. I would imagine it’s taken two decades to get here. It’s probably gonna take a couple of decades to get back. It’s really sad for me, as someone who saw Venezuela when it was thriving. It’s hard to even recognize that it’s the same country. It looks like something you might see in Ethiopia or Haiti after an earthquake. It makes me realize that our leaders do matter, that policies do matter, and that democracy does matter. I would hope that the U.S. would not try to invade or send military aid to Guaidó. I would hope that we would join the Lima group. Canada, Paraguay, [and] most of the countries in Latin America have met to develop a set of recommendations for Venezuela. The U.S. has not joined them. I would hope that we would join the Lima Group and look for a democratic, peaceful, multilateral solution that involves helping the people of Venezuela, but requiring the government to change. by Ian Grace, Health Editor ith depression and anxiety on the rise, in the classroom through teachers such as Clare nearly one third of teens are affected by McFarlin, an art teacher who started practicing anxiety. According to the National Institute mindfulness with her students in class this year. of Mental Health, more and more people are trying new “There have been all kinds of statistics that show that methods to help improve their mental health. Yoga and it’s helpful, that it helps students concentrate. Students meditation are both proven methods of reducing are more stressed than they have ever been with social anxiety and increasing physical and mental media, and I think that it is a way to push all that wellbeing. Both activities have mindfulness stuff away. Again, the idea is to just focus on at their core. According the Harvard Health, one thing, whether it’s your breath or a sound. “Yoga is known for its ability to soothe It’s the idea of not letting in the noise,” McFarlin tension and anxiety in the mind and said when asked why she encourages body. But it can also have an impact students to be mindful. on a person’s exercise capacity.” It’s important to note that there is a Meditation is defined as the practice difference between religious activities and of using mindfulness or focusing on a mindfulness. Mindfulness is a healthy and particular thought or activity to increase beneficial practice that is simply the act of awareness or emotional stability. The relaxing and living presently. While some practice of mindfulness is accinded to religions, such as Buddhism, do incorporate exercise for the brain. the practice, it is not something that only Senior Camryn Curren has been people involved in that religion can benefit from. practicing yoga for much of her life. “My mom is Prayer in Western religion can also have therapeutic very good at yoga and has always encourages me properties similar to the practice of meditation. to do classes with her, whether it be in the backyard or at At PRHS, 35% of respondents said they had tried the gym. Yoga is a constant in my life because I can take meditation at least once. The practice is gaining more it anywhere with me, and I feel as if it’s always important popularity as the end of the year approaches and stress to improve my flexibility and balance. I like yoga because levels increase due to AP tests and final grades. Taking it combines strength, flexibility, and balance like no other five minutes out of the day to relax through yoga or form of exercise can.” through meditation is a good way to stay grounded as Some Bearcats have become familiar to mindfulness the year comes to a close and as tensions shoot up. iving with a stutter, autism, Down syndrome, diabetes, or muscular Despite an accepting and adaptable program, there remain struggles with dystrophy may sound like a life of struggle or a constant battle; for a inclusivity and lack of challenges in a school setting. Because students in population of students at PRHS, this is everyday life. They handle these this program may be assumed to be in a certain class simply to take part in with grace, strength of mindset, and almost absolute positivity, as visible to it, several students have reported to have received an “easy A,” which doesn’t their teachers and peers. encourage them to work any harder in these classes. The goal of enrolling in Public perception of disability within communities has changed drastically a mainstream class is to work to challenge themselves as students, and a within the past century, allowing for greater social handed-out grade defeats this purpose. consideration for those who have some form of More than anything, however, education builds RATHER THAN FOCUSING ON on skills rather than allowing problems to arise. The mental or physical disability. Aside from highly active WHAT THE KIDS CAN’T DO, WE students are overwhelmingly positive, and tend to moments for change, such as the Disability Rights Movement dating back to the 1800s and the League approach new challenges with a smile on their faces. FOCUS ON WHAT THEY CAN. of the Physically Handicapped dating back to the When the students are pushed to grow, they respond LYDIA MELLO, 1930s, society as a whole seems to have become well, and reflect this growth themselves. ADAPTIVE LEARNING CENTER INSTRUCTOR more accommodating to the needs of others rather “I just love the innocence and the kindness [of the than a one-size-fits-all method to the way the world works. students],” Emmons said. “There’s no attitudes. They laugh at all my jokes, and At PRHS, programs belonging to the Adaptive Learning Center, which is they’re sweet.” overseen by Chris Emmons, allow 16 students to experience communityAs these students tackle and thrive through their challenges, one goal fills based instruction to prepare for leaving high school, helping them to become many minds: to be treated like any other student. Though a disability may as independent as possible. This method of learning begins as teachers meet compose a portion of one’s identity, it is not an identity in itself, and there’s their students on a certain educational standard they are at, then build on more to any student than what they may face. their skills to secure success past high school. “I want other students not to feel bad for me. I also want them to know that “Rather than focusing on what the kids can’t do, we focus on what they can,” I can do more than other people,” Josue Alvarez, a senior with Duchenne Lydia Mello, one of five staff members who work in the ALC, said. muscular dystrophy, said. The Individuals with Disabilities Education Act (IDEA) mandates that schools provide Special Education services to students that qualify. Green is one of the four psychological primary colors which include red, blue and yellow. Red represents the body, blue represents the mind and yellow represents the emotions. Green represents the balance of all these forces (intellectual, physical and emotional). Although people that face barriers are often limited in one sector, students find a way to balance each element through the help of family, peers and programs they participate. an insulin patch that connects to a pump on his back. Despite difficulties, he finds a way manage his type 1 diabetes while playing sports. son’s mom and dad show their love and affection for him with a little kiss. They are a beacon of support for Jackson as he overcomes the challenges characterized by autism. Q: What’s your favorite activity to do during classes? A: Watching movies. Q: What’s your favorite subject? A: Singing! pecial Olympics is a national organization that allows high school Every athlete is excited for practices, not only students with disabilities to compete in many different sports for for the sport, but also to see their “buddies,” who victory and recognition throughout their high school career. With encourage, inspire, and shine a light in the special olympic athletes lives. the support of high school students at PRHS the “Special Olympics gave me the opportunity to special olympic athletes aspire to be stronger and make a change and help people. Not only that, SPECIAL OLYMPICS GAVE ME confident in playing sports. Every Thursday, special but I also get to have fun in the process and do THE OPPORTUNITY TO MAKE olympic students practice for scheduled events in something I love,” said Freshman Sophia Berry, fall, winter, and spring with a ¨buddy¨ from the high who has helped out with events for 3 years. Every A CHANGE AND HELP PEOPLE. school. These ¨buddy¨ volunteers work with, and NOT ONLY THAT, BUT I ALSO GET event includes much cheering and enthusiasm help inspire teens with intellectual and physical for the special olympic athletes, but takes a lot TO HAVE FUN IN THE PROCESS. disabilities to involve themselves in team sports. to put on. Hours and weeks of preparation is vital SOPHIA BERRY, 9 During the fall, special olympic athletes and their for the events to take shape, and without the “buddies” practice for the Special Olympic Bocce help of all the student and parent volunteers, and Soccer Tournament. During the winter months, the athletes practice for managers, and teachers it would not be possible. Practices are scheduled, t the Special Olympic Unified Basketball Tournament, and Cheer Team; and shirts are ordered, and planning is required by the many coordinators. After during the spring, athletes prepare for the Special Olympic Track Meet. At all of the work and effort to put the event on, athletes and participants cheer least twice a week they spend over an hour during the course of the school through the event, play strong, and have a great time. year to strengthen their skills as a team and practice individual techniques. Q: What’s your favorite event at Special Olympics? A: Cheer! Q: Who do you look up to? A: My mom. Melanie is a sophomore at PRHS and a part of the the Adaptive Learning Center run by Chris Emmons. She is one of 700 babies diagnosed with Down Syndrome each year, which is a condition that causes developmental and intellectual deficits that range from mild to moderate. Director Chris Emmons coaches students on a play at the Special Olympic Unified Basketball Tournament. Emmons has been developing the Special Education curriculum for almost three decades. BREAK TIME (right) : During the Special Olympic Unified Boccee and Soccer tournament, students Giovanni and Cassie rest after competing with students from schools as far away as Santa Ynez. well. Initially, the pace is rather steady as the characters are introduced and the plot begins to take small steps. However, the aspect that adds most to the film’s portrayal is how Tony and Don travel first from their comfortable home of New York and gradually progress further down south, where treatment of Don as a black man progressively becomes more and more confining. Green Book quickly establishes Tony’s flaws as the main character: he’s very blunt, slightly dishonest, and rather prejudiced, considering he was shown to throw out a pair of glasses two black men visiting his home drank out of towards the beginning of the movie. Despite this, he’s shown to become more concerned for Don’s well-being later on, refusing to back down against a man who calls Don a slur to Tony’s face and wholeheartedly agreeing to cancel one of Don’s music performances later on because the musician is disallowed from eating at his own event. This is not to say that the film is without its flaws. Occasionally, the film represents its setting with more words than actions, making it a bit less realistic than the time period would necessitate. Beyond this, the shortcomings are minor, thankfully. This is largely due to the skill that Farrelly and the writers display in creating a complete picture that leaves little uncovered – worlds different from the American director’s well-known 1994 comedy, Dumb and Dumber. Despite minor stylistic flaws, Green Book is, altogether, a very enjoyable and unique film, proving that the creation of a fresh narrative using common material can be pulled off well. Scan this QR code to see our review podcast: Let’s Review It! by Emily Olsen, Circulation Manager well represented and evoked so many hard-hitting moments. According to Stella, personal touch from the one we love is almost as necessary as oxygen is to breathe. With a dose of reality, and more than enough fictitious plot twists, this movie will without a doubt bring tears to the eyes. Throughout what may have easily been a predictable plot line, twists and turns come revealing traumatic pasts and all-too-surreal situations. From the deaths of family members and best friends to letting go of the ones they loved, it was difficult not to put oneself in their own situation and imagine what it would be like to lose something – or someone – one loves so much. The acting, direction and cinematography of the film was beyond applaudable. The characters were well represented and showed extreme vulnerability, allowing the audience to take the full, emotional rollercoaster with the characters. ew York Fashion Week: the pinnacle of fashion, a showcase of the most amazing collections, and a spotlight on spectacular designers -- well at least in the past it was. The past few NYFWs have been lackluster. Designers seem to be stuck in a rut of boring collections and a plethora of ideas with horrible execution. A few brands, however, deliver beautiful clothing with purposeful meaning and original designs. One of Oscar’s favorite places to visit was Spain, specifically the MosqueCathedral of Córdoba. Laura Kim and Fernando Garcia were able to turn aspects of the luxurious building into designs that rival their inspiration. The collection is filled with references from both Christian and Islamic culture, the silky floral patterns juxtaposed beautifully with the geometric patterns and colors that looked like they came right out of a spice bottle. A few dresses were cut from decadent velvets and had a train that was complete with deep red fringe. Two looks that strayed from the collection were these godawful quilted gowns that were just awkward when put with this collection, but considering how amazing the rest was, ill let it slide. etting lost in music is fairly easily when the topic and feelings portrayed are relatable. When I Get Home, Solange Knowles’ fourth and newest album released on March 1, 2019, uses unique sounds and an instrumental focus to portray a dreamlike quality. The recorded album develops slowly over less than 40 minutes and features artists including Playboi Carti, Tyler the Creator , Chassol and more. Solange, born in Houston, TX, reflects her hometown regarding the traditions of Southern African-American culture. The true Houston experience of receiving advice from experienced aunts,”Nothing Without Intention” and candy paint finishes cars “Way to the Show” is amongst the continuous repetitive pattern. Songs such as “Almeda” eulogize the goodness of black talented youth. After listening to all 19 songs on the album, four of them being interludes, I was unimpressed. I like to consider myself knowledgeable of all genres and open to new tunes but I found myself feeling forced to accept the sound instead of wanting more. The first five to ten seconds of every song was intriguing and started with a bang which eventually fell to nothing but instrumentals. The focus sound that was expressed was, to say the least, different. “Editing is just such a huge part of my process,” she said. “I would say that it’s 80% editing, and for some reason, I just have the discipline for it.” The jazz shields the underlying hip-hop and electronic beats that transformed the ex p e r i m e n t a l R&B album into a mood derived exposè. by Mckensi Keller, Pop Culture Editor eaturing artists Gucci Mane, Gunna, and close friend Landon debut mixtape, Atlantic Records noticed his single, Cube, Lil Skies’ 14 song album Shelby follows his life and his “Signs of Jealousy” and offered the teen a chance to “highs and lows.” With many songs reflecting how his life is become big. He was brought up through features going, “Ok 4 Now” is a good representation of what Skies is feeling with other artists like Yung Pinch and especially about life right now. “It’s my first real project,” Skies said to the press, Rich The Kid with their single, “Creeping,” recently “It’s like a new beginning. This is really like me being born again.” going platinum. This project had three features and the rest were songs of his Shelby sends a different kind of vibe to listeners because it is something for own. That choice was a huge move by Skies everyone. With songs that can because it provides more from himself as an artist. Through this album, the artist seems THE ALBUM, SHELBY, hype you up or songs that can put you in your feels, the to be portraying self care with the song “No SENDS A DIFFERENT album has it all. The project Rainy Days” speaking about keeping his was beautifully put together priorities straight and keeping his “brothers KIND OF VIBE TO with songs “I”, “When I’m by my side, they the only ones I trust.” Even in LISTENERS BECAUSE Wasted”, and “Nowadays, Pt. 2”, the song “Through the Motions,” Skies reveals IT IS SOMETHING FOR portraying what Skies is feeling and he puts it that he doesn’t want anyone stopping him into lyrics so fitting to himself. Many would get from getting to where he is on his way to, EVERYONE upset with the mention of mumble rappers, which is the top by the looks of things. but I don’t think Skies falls into that category Skies has been writing and recording music since he was 12 years old in Waynesboro, Pennsylvania. Rising because he sings with such purpose and each lyric means up through Soundcloud, the artist has many songs that are only something. Personally, I fell in love with the songs, “Flooded” available on that platform, but since his last album Life of a Dark and “Blue Strips” because these both are hype songs and Rose, his songs are clickable on any platform. Even before his can guarantee to put you in a good mood. MA RAP: Lil Skies put small town Waynesboro, PA on the hip-hop map, according to Rolling Stone in March 2018.
burning coal and oil, with those fossil fuels getting burned. “Carbon is released into our atmosphere, and it likes to bond to other things in the atmosphere producing carbon dioxide and that carbon dioxide goes into the green house effect,” said Lee. Lee insisted that in terms of global climate change, transportation using fossil fuel based transportation, is adding more CO2 into that imbalance. Quad Fashion (above) : Catch senior Elizabeth Priebe, sophomore Kasey Nguyen, and freshman Maicah Cabello sporting classics like highwaisted jeans, chain jewelry, and brand footwear. ike that of a painting, the artist gently brushes onto their face an each client. I use disposable mascara wands and lip gloss sticks with array of pigments and powders. Blending to get the perfect contour each client as well.” and applying stroke after stroke of mascara to get that full lash-look, To be a part of this industry doesn’t necessarily mean completing the their skills are refined after years of trial and error to perfect the mask 1600 hour class requirement and passing the State Board test. It’s needed they will wear for the rest of the day. Yet there is so much more to makeup to work in a salon, but ambitious Bearcat sophomore Maria Santiago than just what meets the eye. From techniques to tools, the cosmetics aspires to become a professional in the cosmetic field while still in high industry is an intricate society. school, working from home. With her own Instagram page dedicated to The purpose of makeup is used for far more than just a coverup for her creative looks, she also uses it as a self-promoting business platform. uncomely features. It is used to enhance the natural Her interest started around two years ago but about beauty people possess and Jessica Muñoz, a licensed one year ago was when she really started to pursue MAKING [THEM] cosmetologist for six years, has been a freelance makeup her passion and practice her techniques. artist for ten years. Currently working at the Wearhouse FEEL COMFORTABLE. “I would love to make it a career in which I would Salon of downtown Paso, Muñoz delves into the in’s and enjoy to do everyday. It’s a huge passion, although I CONFIDENCE out’s of how to be a proper professional makeup artist. have other careers in mind, I would pursue being a IS KEY AND “The most important thing about the makeup itself is makeup artist full or part time in the future.” ALWAYS HAVING knowing how to color match foundation correctly. The As for her inspiration, “any little thing from just foundation and skin is most important for everything else simple colors to even seeing others create the CONFIDENCE IN to look great,” Muñoz shared about the initial and crucial eyeshadow and I decide to try it out on my own. MYSELF AND MY factors of makeup application. Creativity plays a big role in makeup,” Santiago ART. When working with a client the most important thing to described. JESSICA MUÑOZ, consider is “making [them] feel comfortable. Confidence Santiago also reveals her more personal MAKE UP ARTIST is key and always having confidence in myself and my art connection to makeup. “My favorite part [about shows and proves a lot to my clients,” Muñoz explained. actually doing makeup] is that it’s so soothing and As for the materials and methods part of doing relaxing it’s a way of distressing. It’s so fun to be able makeup, a look into Muñoz’s kit and procedures speak to the extent of to create a form of art in different ways. I love being able to express myself what one needs in the profession. through it.” “I have tons of makeup from every foundation shade to accommodate This is a world where image is everything, how one looks is super all skin tones and skin types. [I also have] way too many brushes, eye important and it has been so through the ages, even as the trends shadow and contour palettes, lips shades, blushes, setting sprays, change and differ between cultures. But there’s more behind a look than scissors, tweezers, flat steel mixing palettes, makeup remover wipes, and meets the eye, more than just how to apply it and how to keep up with the more. Some sanitary procedures I follow are making sure my brushes are times. Makeup manifests to be people’s livelihoods and a defining aspect sanitized before each client and having brush cleaner on hand during in everyday society. It is a medium of beauty, painted on people’s faces. brushes and product to prepare for a client. Using a variety of shades and shimmers she perfects each customers look. “WAVE”: The dancers personify the name of the dance, moving into formation one after another. This dance was choreographed by Ethan Carmen. hree classes of dancers twisted and twirled across the stage, doused in colorful lights and dressed in elaborate costumes, creating a scene before the eyes of an adoring audience. The annual PRHS Dance Show showcased three months of work put in by dancers in Advanced and intermediate dance classes, as they held three shows beginning on Mar. 7 and ending on Mar. 9, 2019. The show consisted of 26 numbers, choreographed mainly by students in Jazz n Company. Choreographers included co-presidents Devin Hartley and Oscar Gutierrez, both of whom have been in advanced dance since their freshman years. “It felt so amazing to have our work showcased for everyone to see. We all put in so much effort and time and the joy I feel once showtime comes in indescribable. It’s truly such a gift to get to share my art and emotions with so many people,” said Hartley, who has been dancing for seven years. The theme of this year’s show was “four letter words”, inspiring dances such as “This” (choreographed by Rosie Luera), “Fear” (by Brooke Corrales), “Grey” (by Griffin Benado), “Feel” (by Hartley), and “Echo” (by Gutierrez). Gutierrez has been dancing since sixth grade, and plans to continue dancing past high school. Having helped choreograph four numbers, he dedicated weeks to the show, and his efforts were paid off by audience admiration. “There’s a weird lull after the show ends, and I can only describe it the same way you feel when your favorite show on Netflix ends. You want more of it, but simply there is no more. In the end it’s all about optimism because I still have the gift of sharing a few more months with the people who put on that amazing show I’ll never forget,” he described. Gutierrez demonstrates his extreme flexibility and strength as he dances “FEAR“. Corrales, a junior, choreographed this number. pose during the dance “WAVE”. “There’s nothing really like the weightlessness you feel when doing any leap on stage,” he said. Roselina Luera crafted this dance, featuring red lighting and dramatic movements. She has been in advanced dance for three years. Hartley’s number “FEEL”, she shows emotion, strength, and control in her movements. She is co-president of Jazz N Company alongside Gutierrez. hen stepping into the Gil Asa Gym to watch a volleyball game, or any sporting event for that matter, it’s easy to be only mindful of what’s going on on the surface: who scored the most points —‘kills’ in volleyball lingo—why did the referee make that call, what’s the score, etc. What one usually doesn’t think about is all of the planning and time that went into setting up the nets, bringing the teams together, the hours of practicing that led to all those points, and who takes time out of their day to do things like keep score and make announcements. Every sport at PRHS has similar preparations for game day, along with groups of motivated athletes, students and adults who bring each sporting event to life. To get the full sports-spectator experience, one must dive deeper into what makes a home game at Paso Robles High School possible. SETUP: The net and bleachers are set up at 3:30, two hours before the game, and put back at 6:44, once the game has ended. Members of the junior varsity team assist in cleaning up the announcer’s table and the chairs that the varsity players use when they’re benched. 5:00: Both teams are now present and are warming up before the game. Paso begins by doing high-knees across their half of the court while the Central High School Grizzlies stretch and do sprints. Refs: Referees Bob Spear and David Owens both wear white, collared shirts with “certified official” on the sleeve as well as black pants and white shoes. Spear stands in a referee’s chair high up next to the net in order to get a bird’s eye view of the game. Owens stand on the opposite end of the net, blowing his whistle for serves and judging each play. He returns to the announcer’s desk to clarify any confusion on the calls he made and to rectify any mistakes. The referees ensure that the game is official, fair and fun. member Charles Dominguez. He works the front table inside of the double doors of the Gil Asa Gym, receiving pay from spectators and fans as they enter. “I’ll usually set up the table around 3:30, two hours before the game officially starts. I’ll let the athletes from other sports in for free; they usually come in after they’re done practicing. I like coming out here and doing this. Gets me out of the house,” he said at a home game versus the Central High School Grizzlies on March 7. 5:34: All spectators and players stand as an instrumental rendition of the national anthem plays over the loudspeaker. One minute later, both teams line up as each player is introduced by announcer Scott Gardener. Sophomore Ethan Wright set this game and his hitters were senior Jordan Morris, senior Hector Arteaga, and sophomore Wil Reed. announcer’s desk along with sophomore Adrian Swindig, who helps keep score. Gardener recalls substitutions, points scored by each side, and general announcements (snack bar, sponsors of boys’ volleyball, etc.). His game descriptions and transition announcements will add drama and officialness to the event. Fans: The time gets closer to 5:30 game time. proud parents, avid fans, press publications, spirited students, and novice teams fill the stands in support of the Bearcats. Moms bring their padded chairs. Younger siblings and middle school players watch admiringly. The crowds add liveliness to the game and players by cheering them on whether they’re up or down. 5:36: Both teams form a huddle before the game begins to discuss strategies and receive last minute coaching tips. The Central High School Grizzlies begin with the first serve, but Paso Robles junior Brock Williams earns the first point of the game. Coach Drew Nenow had a very active role throughout the course of the game, standing close by on the sidelines and offering quick words of encouragement and coaching tips to the team after each play. he sun rises out from behind the rain clouds and the shot of a start gun, splash of the pool, ding of a bat, squeak on the volleyball court and echo of a tennis ball all together signal that spring sports are here. Throughout the season, games are played, friendships are made, and records are broken all with the help of Bearcat athletes. Ten athletes were chosen who positively influence their team’s outcome, not only in league results but in team bonding and memories made. reshman varsity swimmer Holly DiSimone’s career began five years ago, when her love for the water drove her to compete. She was intrigued by the team and individual aspect of the sport. DiSimone usually swims the 100m butterfly and freestyle in high school meets. She recently broke the 100m butterfly school record with a time of 57.76. CURVE BALL: Ralston pitches a curve ball to a batter of the opposing team the Rhighetti Warriors. he dust is thick as the setting sun triggers the massive lights to turn on This team is currently ranked second in the illuminating two teams of varsity softball players. Standing on the mound nation. Travel softball teams strive to both are the catcher Emma Phillips, first base player Andie Dizon, and advance their members’ skills and help to READY: Dizon waits to see pitcher Jaidon Ralston. boost their college resumes. if the batter will make a hit. There is no question that varsity sports are a big portion of high school, the “Travel ball goes a lot faster. Practices are oldest and best players are competing to win titles, personal bests, and honor way harder with a lot more tournaments and for the school. For these three freshman softball players, the dream of being harder teams, and the pitching is a lot faster,” Dizon said. on a varsity team have come faster than most. Being on the PRHS varsity team Ralston is also on a travel team, the California Sun-Cats, involves over two hours of practice each day and games all over the Central that is currently ranked top ten in the nation. “Being on Mountain Range. a club team and having the support of your coaches “The rest of the team are like older sisters, always offering if we need rides and who help guide you is really quite helpful. It’s nice to they’re always there for us. They offer help academically to make sure we can have someone who helps you know yourself and learn stay on the team. They’re really nice to hang out with even when self-confidence going into high school,” we’re not doing team bonding, they always invite us to hang out. Ralston said. “THEY SAID It’s like another family” Phillips said. But these three Bearcats cannot let their VARSITY WOULD BE Bearcat softball is currently 6-1 in league ranking them second rigorous year round practice schedules INTIMIDATING BUT in the Mountain League behind the Atascadero HS Greyhounds. affect their schoolwork. IT’S REALLY NOT. AT Bearcat softball has a 17 player team for the 2019 season with “Sometimes balance is hard with the honors four sophomores, seven juniors and three seniors. THE END OF THE DAY classes I take. It’s hard to keep up, but at the same “They are all very hard workers and big contributors to our I DON’T THINK OF IT time, you learn to balance yourself so you can team. They have built friendships with all of the girls, and as have time to practice, but also study and be AS VARSITY AND JV upperclassmen we have welcomed them unconditionally. During productive in all things you do,” said Ralston, JUST GIRLS DOING games, everyone constantly supports them and they definitely who is aiming to go to the University of WHAT THEY LOVE” return the favor” said varsity second base Hannah Tibbitts, 11. Oregon or University of Arizona to play on Ralston has been the starting pitcher for 11 games this season, a D1 softball team. ANDIE DIZON, 9 shutting out 4 of them and completing 11. Ralston is among four Balance is the most effective way that pitchers on the varsity softball team but with 73 innings pitched she has been on student athletes are able to keep up all aspects of their the mound over 40 innings more than any other player. high school careers, and for these Bearcats, it is no But being younger than the rest of the team comes with its challenges. different. With the aspect of college in all of their minds, “Being a freshman catcher, I have to put in a lot of time to get myself big school is held as their top priority. enough to be the starting varsity catcher,” Phillips said. “I do a lot of my schoolwork during school. Sometimes I’ll Phillips has played nine games this season in both center field and catcher, not practice one day to just catch up on everything. [It’s] a lot of with a recorded 70 putouts (a catcher catching pitches that result in strikeouts) taking my own time and prioritizing what I need to do to be there in the 2019 season. for my team,” Dizon said. Dizon plans to go to a college with a Phillips and Ralston have been playing together since they were five years good math and biochemistry program, hoping that her time old. As a pitcher-catcher combination they have to put in practice time outside playing softball can get her into a good college. of school practices. This time can add up with all three freshman practicing over “I take Honors Algebra and every class that I can. I take four hours a day. to get that extra advantage and it is hard to balance “I practice every single day for about two hours adding to school practice sports and academics, but it’s just about being the every day. I also practice during the school off-season in Gilroy twice a week with best all-around student and student athlete you can,” my travel team,” Ralston, who practices over 21 hours per week, said. Phillips, who plans to go to college to study medicine, “After practices, I go do gym workouts; I go bat sometimes, and it’s just a lot of said. work all the time,” 6-7 hours per day. “They said varsity would be intimidating but it’s really Travel ball is another level at which girls can advance their softball skills. Dizon not. At the end of the day I don’t think of it as varsity and JV; is a member of the Sorcerer travel ball team that plays out of San Francisco. just girls doing what they love,” Dizon said. Stunters perform the hitch. They played Nipomo and won midMar. Hanauer performs an arabesque supported by her base group. This stunt pod is made of the captains Isabella Belflower, Sofia Moses, Jeraly Escamilla, and Hanauer. Tracking the ball as it leaves the pitcher’s hands to either his glove or the opponent’s bat, the catcher has to prepare for any action. Catching the ball with a slightly bent elbow helps him to prepare to move the ball a couple inches towards the strike zone. Left leg in front of right with a stabilizing stance helps to maximize movement while minimizing extra unnecessary motion. to sit out a few games, but he has since returned to the field to continue as catcher. With 31 at bats and eight hits, Ontiveros has a batting average of .258. He has scored four runs and three RBIs (runs batted in). He has an on base percentage of .343. Playing baseball adds the extra responsibility to keep grades up. Practice takes up two hours of his after school time; games take around four hours. Finding time for his school work takes added effort. Ontiveros tries to finish most of his homework at school and sometimes goes to the math tutoring lab — even if it means being late to practice. Role models can provide a goal for athletes to look up to. For Ontiveros, his motivating role model is Roy Campanella, Brooklyn Dodgers catcher from 1948-1957. “[He] is arguably the best catcher the dodgers have seen,” explained Ontiveros. Baseball is more than just a sport for most of the players on the team. It is a family that comes together for a common goal: winning the game and having fun. “I love the sport and I love playing it. My teammates just add to the fun. It’s a brotherhood. I look forward to seeing all my boys at the end of the day to talk trash to each other, make fun, and joke around. My teammates make the game fun,” Ontiveros said.